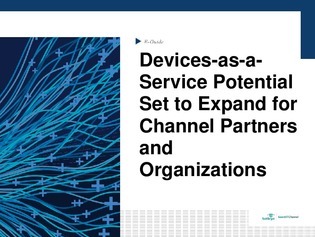 If analyst predictions come true and the devices-as-a-service (DaaS) market experiences significant growth over the next two years, channel partners involved in the management of PCs and mobile devices should brace themselves for what could prove to be a lucrative market. This expert guide serves as your window into the DaaS market—deconstructing the DaaS growth forecast, how to become a DaaS provider should you choose to do so, and how your company can make the most of mobile services. Read on for the details, as well as how DaaS will affect different channel players depending on market positioning.